THAT PHYSICS SHOW! – 2 SHOWS ! THE PLAYROOM THEATER APRIL 21, 2019 | Love Productions Inc. 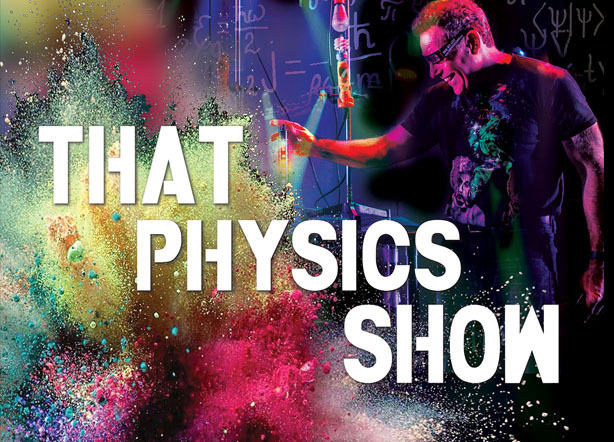 Lifetime professional physics demonstrator David Maiullo brings his scientific “magic” from the world of physics to the off-Broadway stage in THAT PHYSICS SHOW! Based on the hundreds of physics experiments that are presented at physics conferences and in classrooms across the country, THAT PHYSICS SHOW features segments on motion, momentum, vacuum, friction, energy, density, fluid motion, sound waves and sound vibration, light waves, temperature and many more from the world in which we live: a world controlled by physics. © Love Productions Inc. All rights reserved.